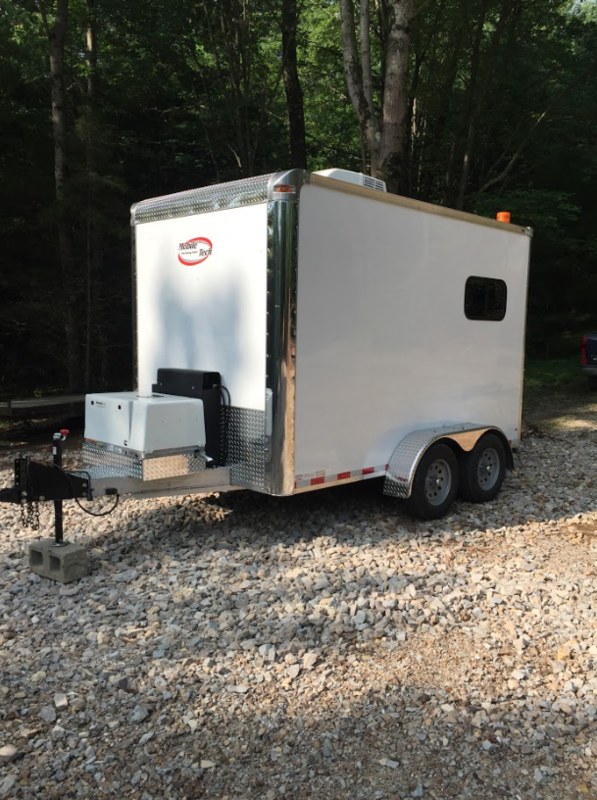 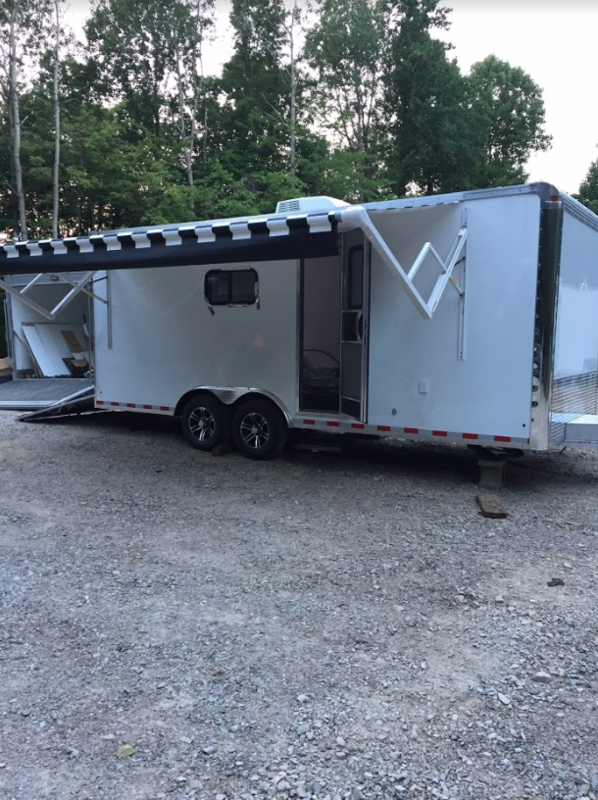 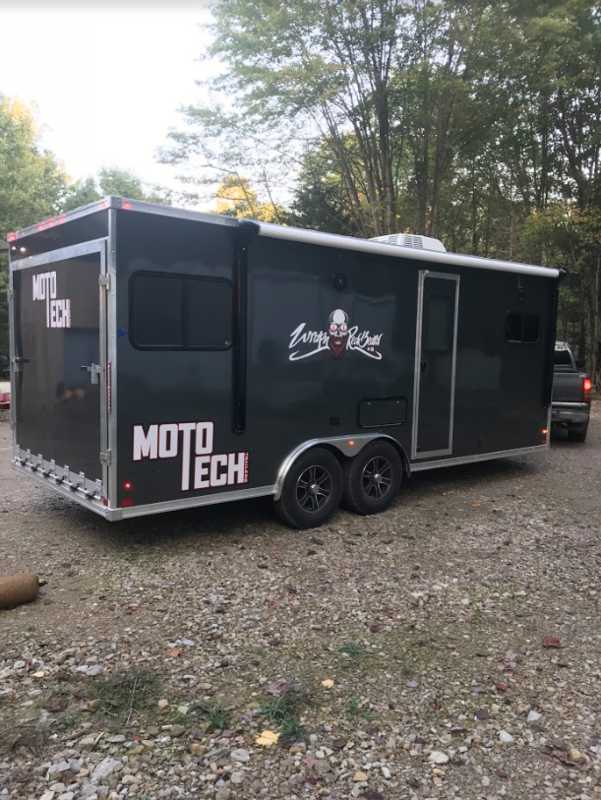 Moto Tech Trailers creates a custom toy hauler for you made with quality materials that are built to last. 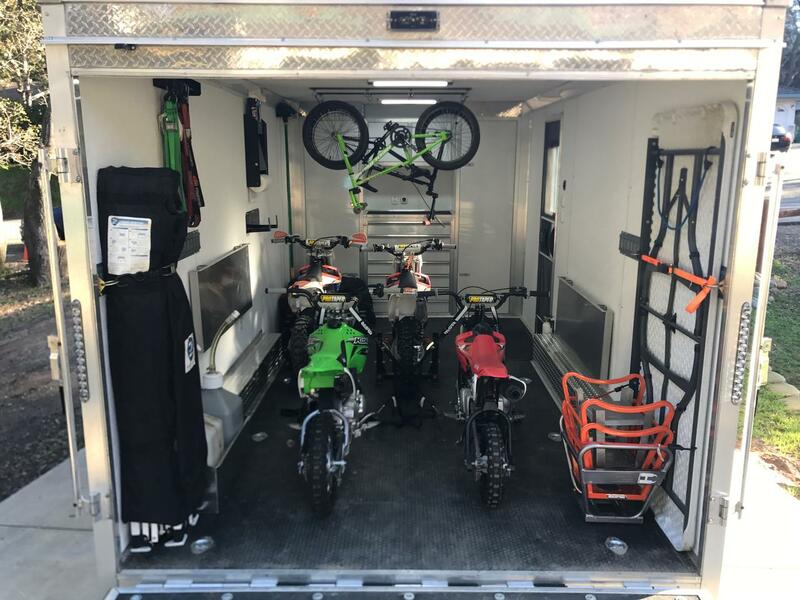 We offer toy haulers in sizes of 8'x12', 8'x16', 8'x20', and 8'x24'. 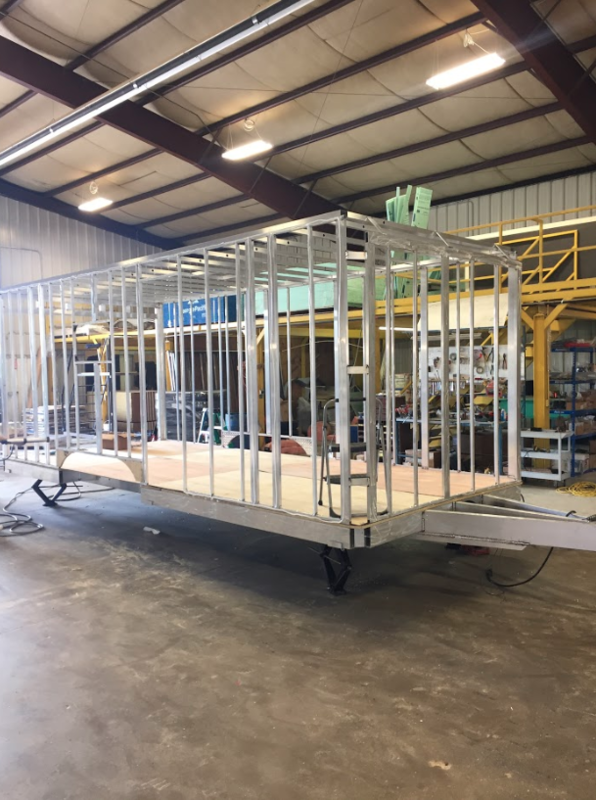 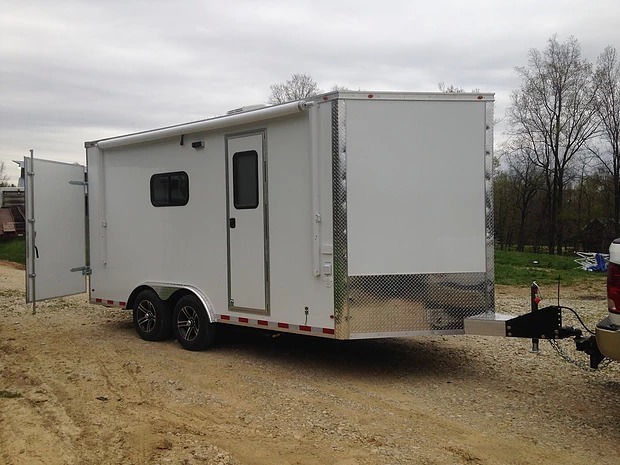 We offer the customer a complete custom trailer built to their specs. 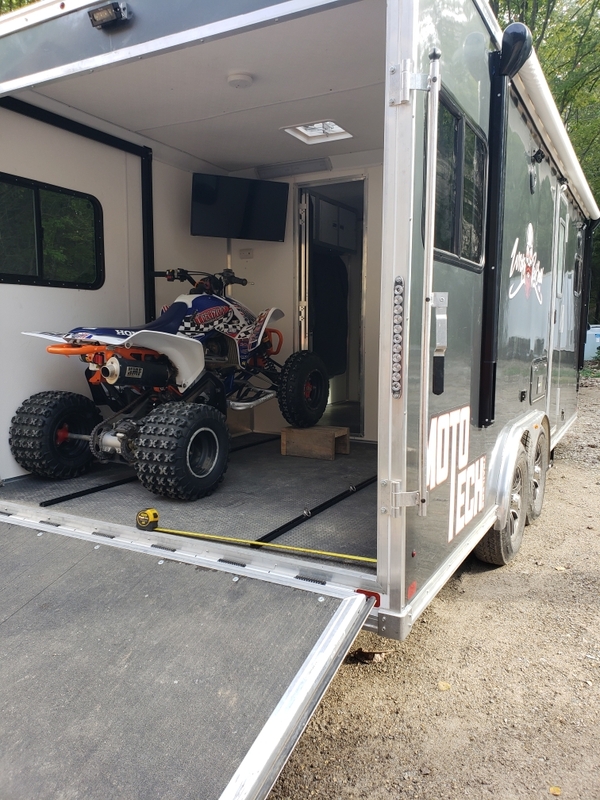 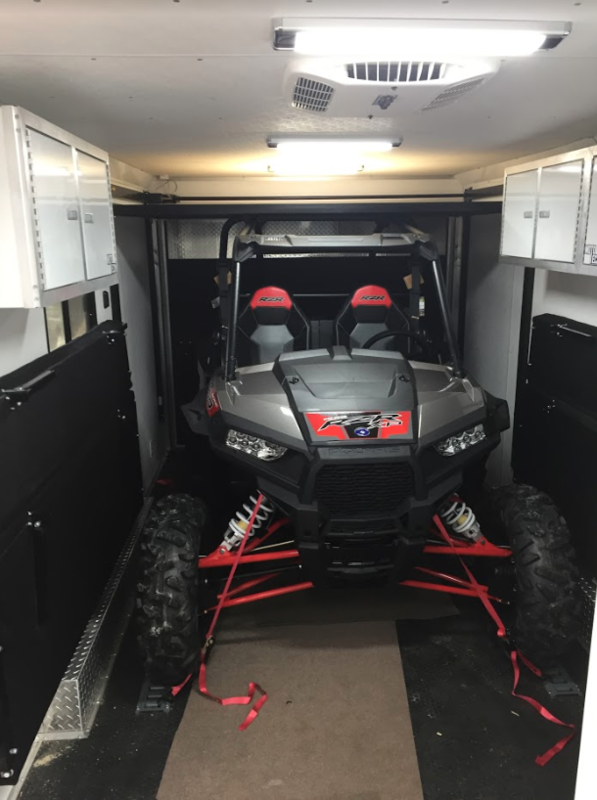 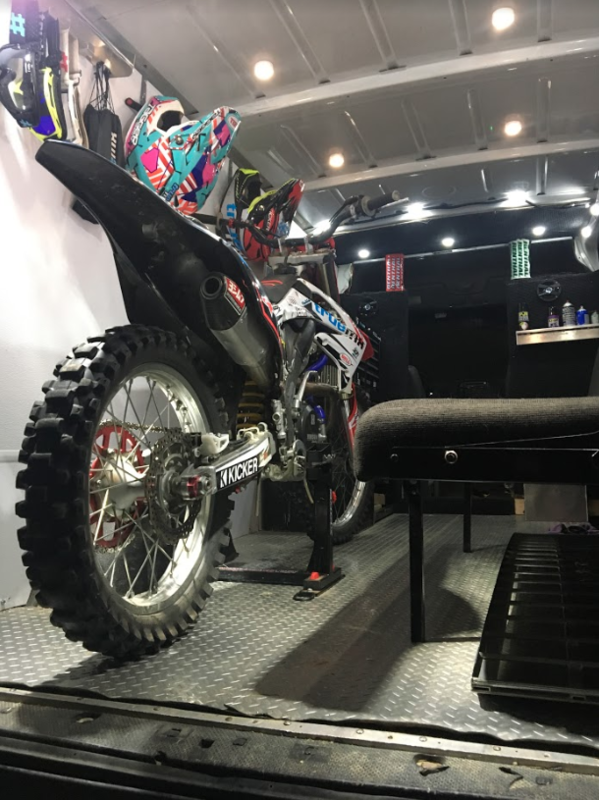 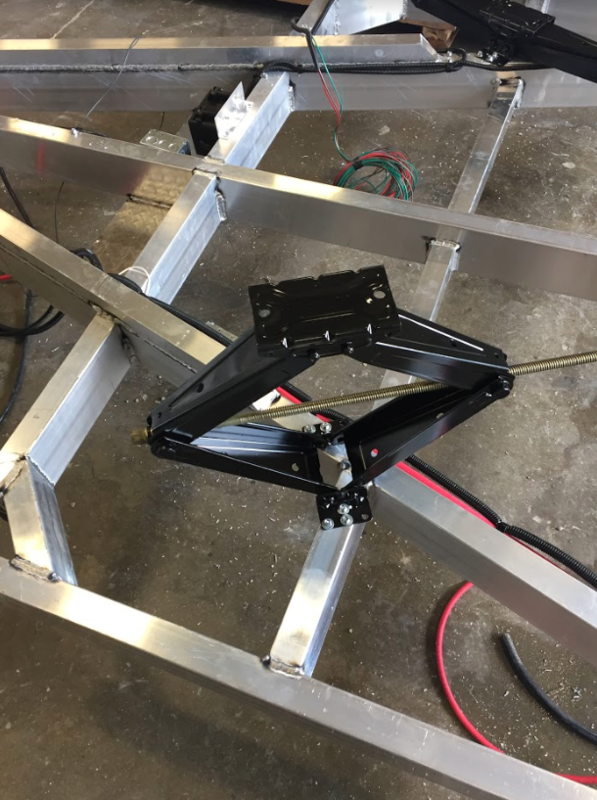 We sit down and listen to what you have in mind to make sure that we build the best possible trailer to fit you and your off-road lifestyle perfectly. 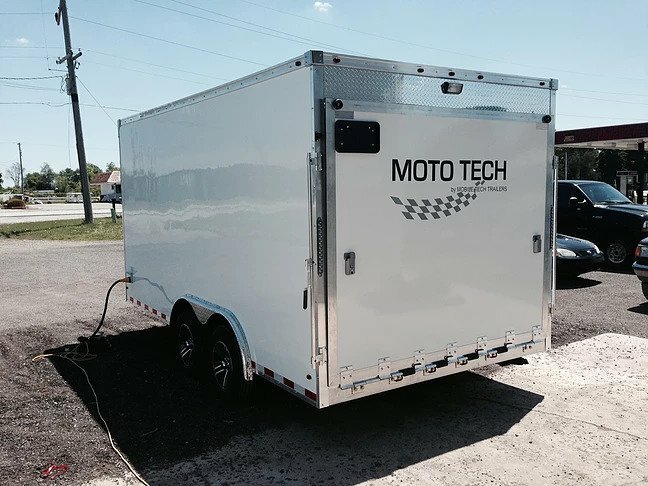 Our toy haulers from Moto Tech can range in price from $10,000 to $40,000. 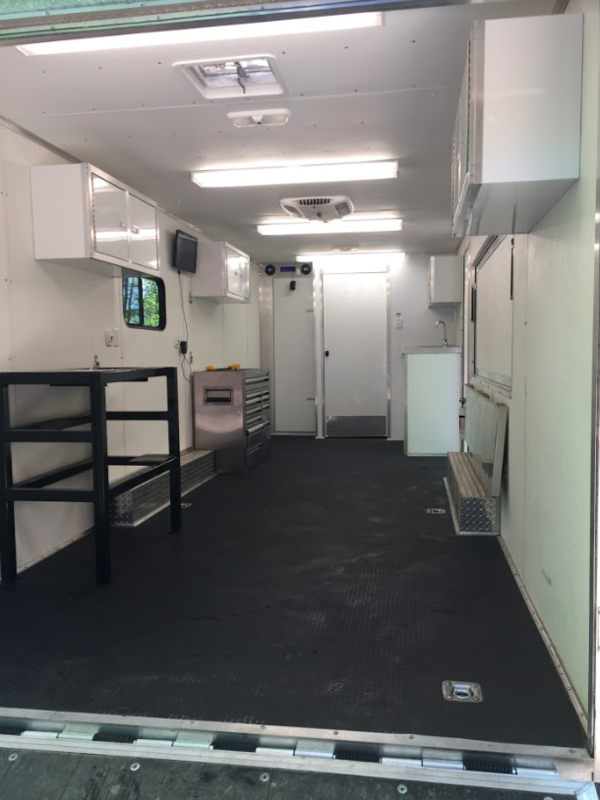 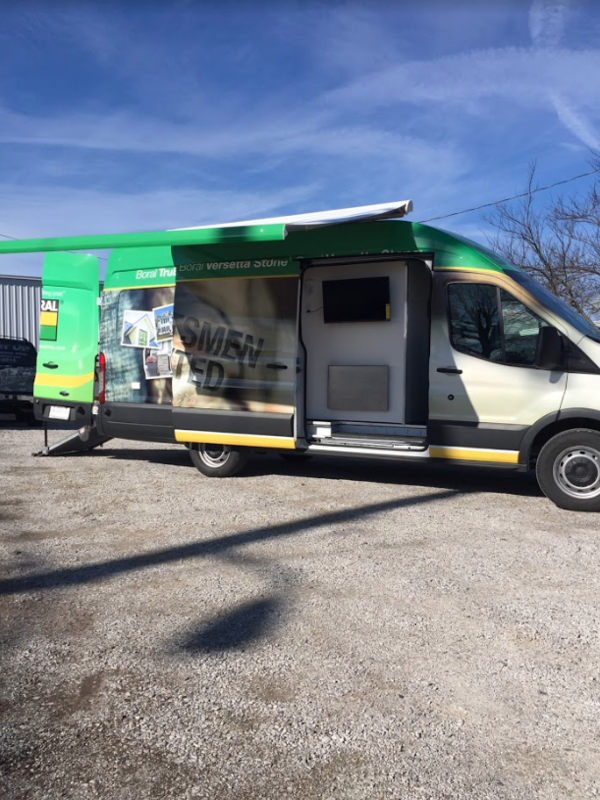 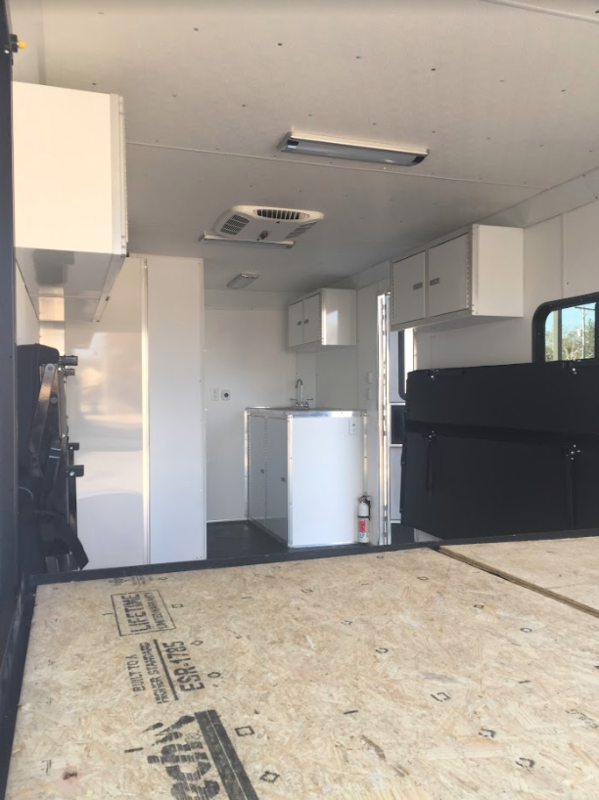 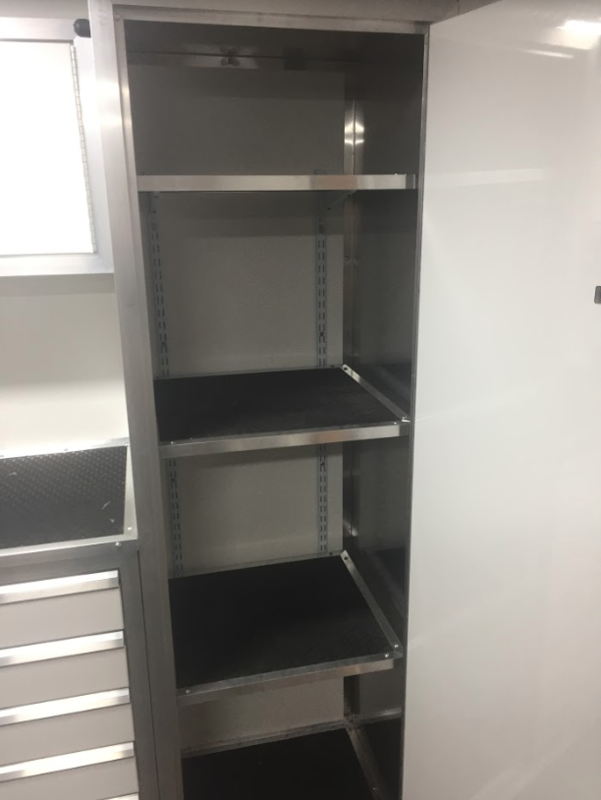 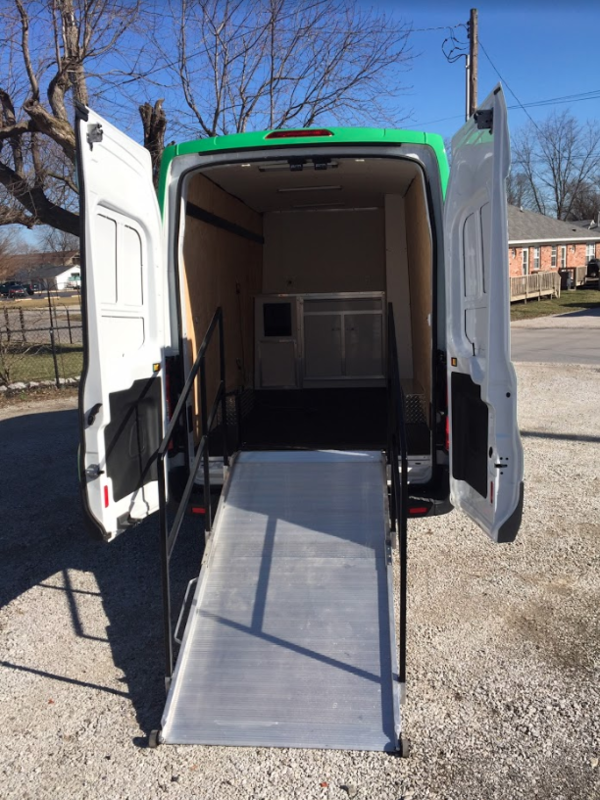 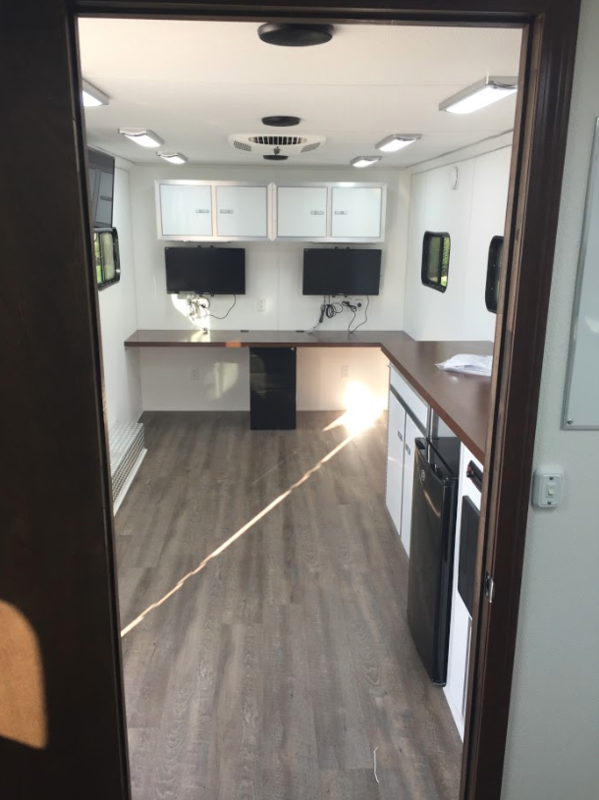 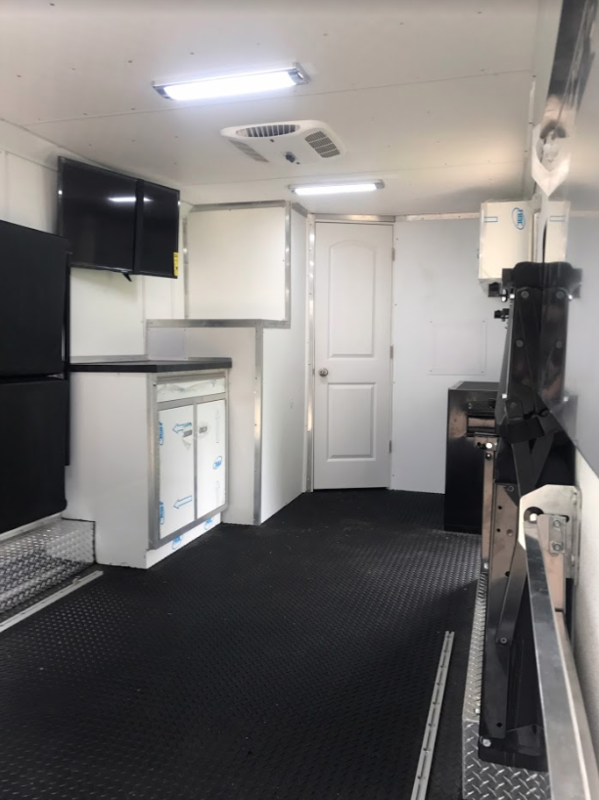 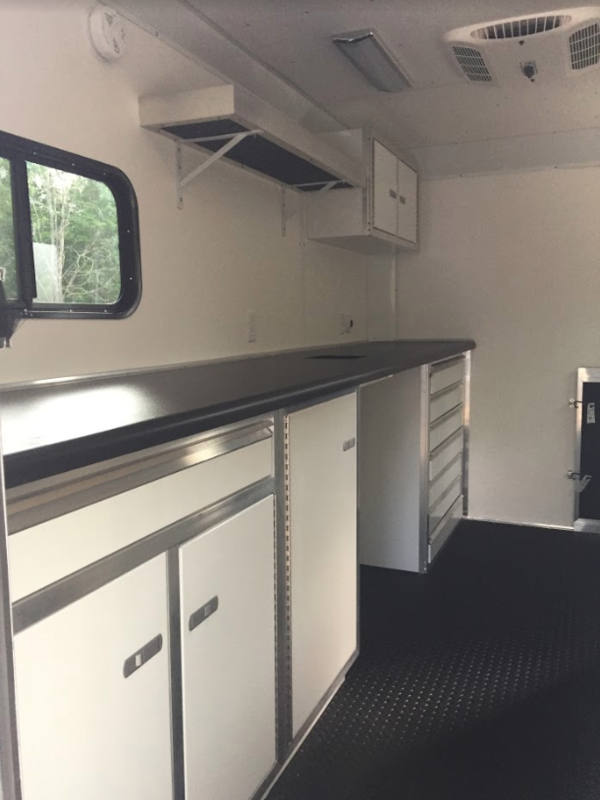 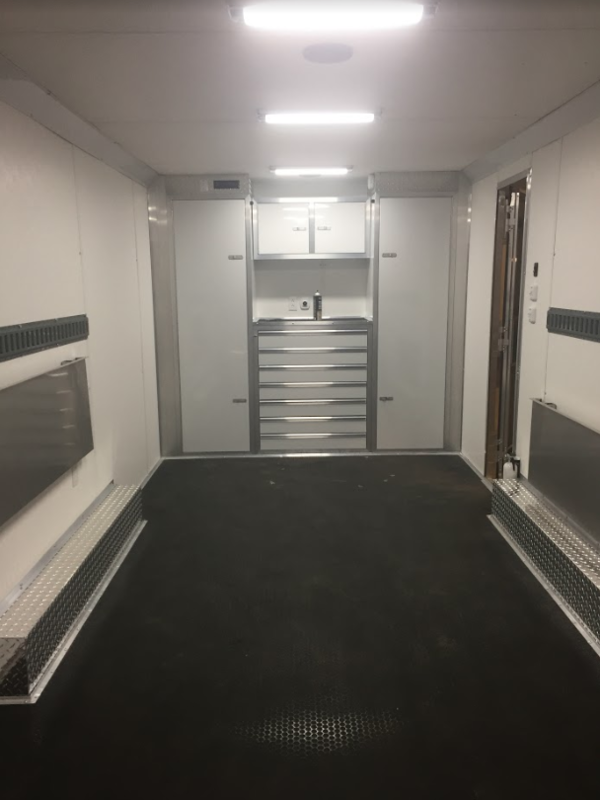 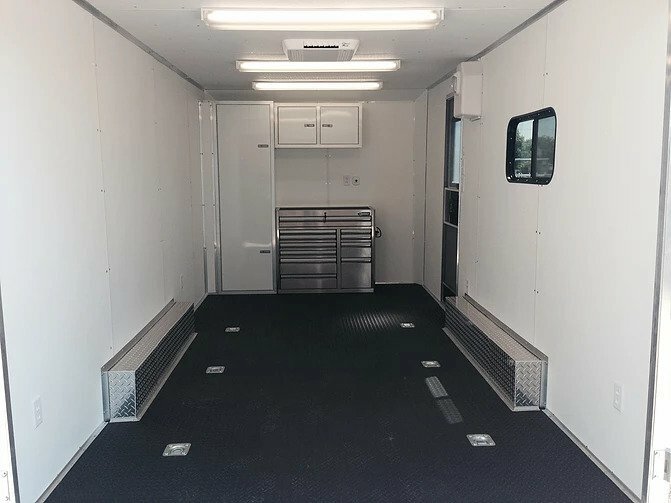 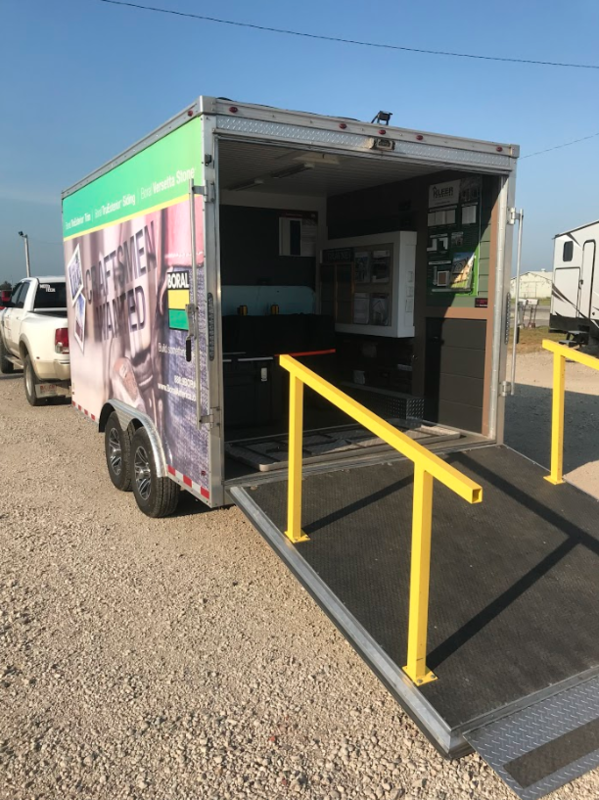 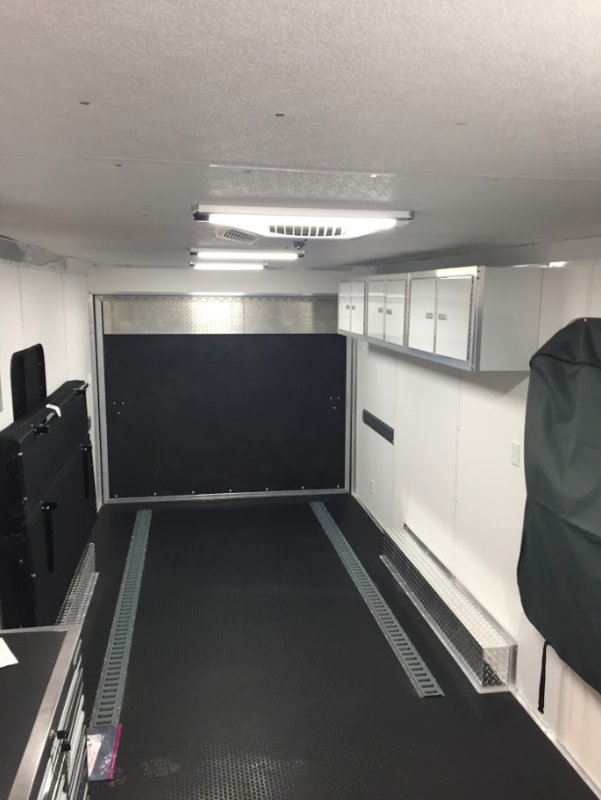 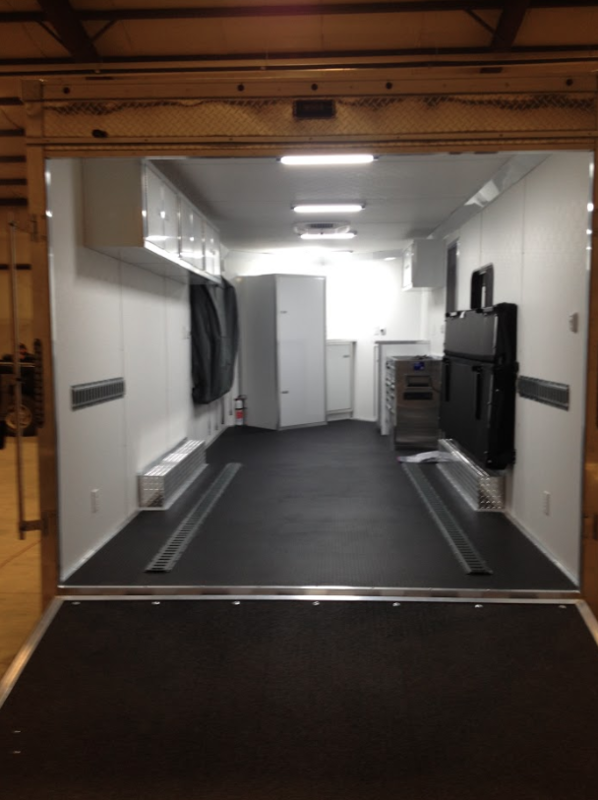 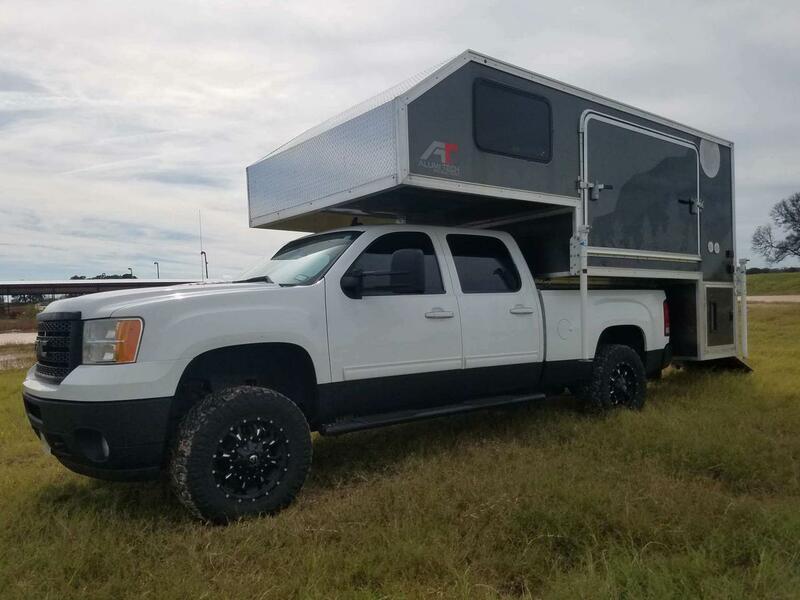 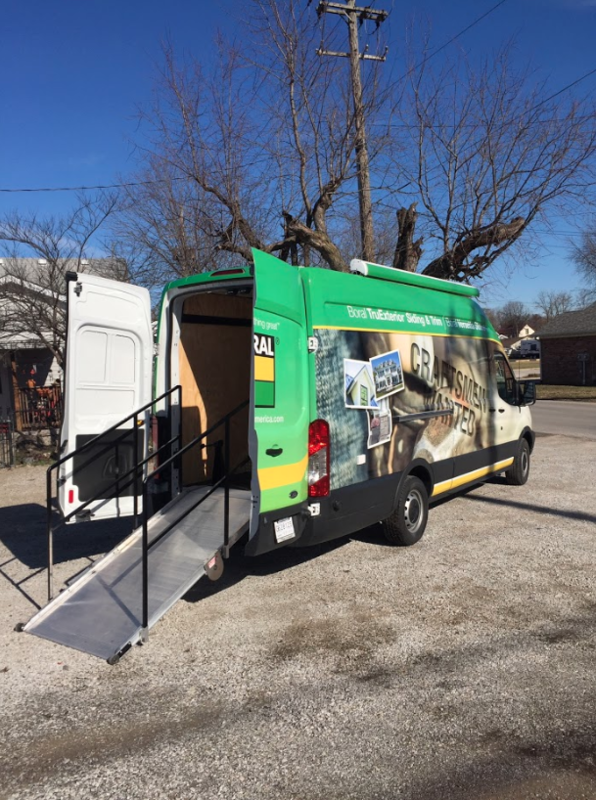 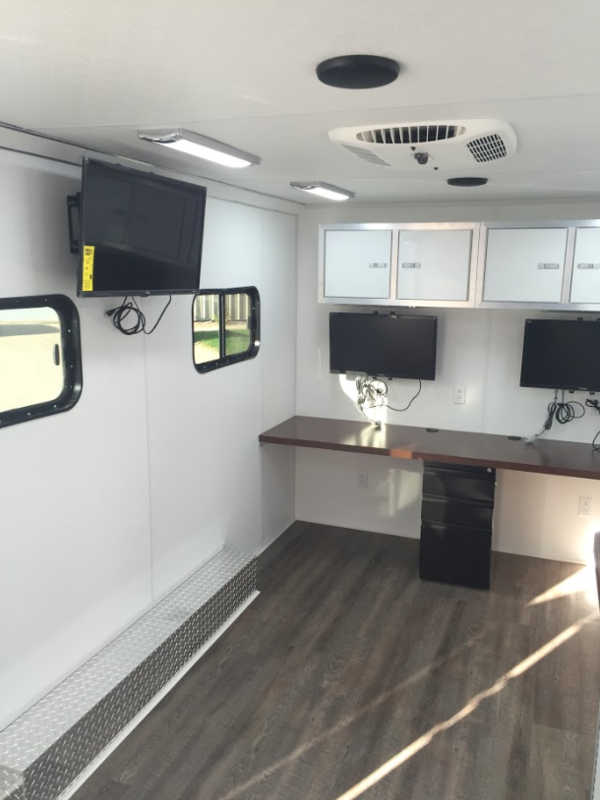 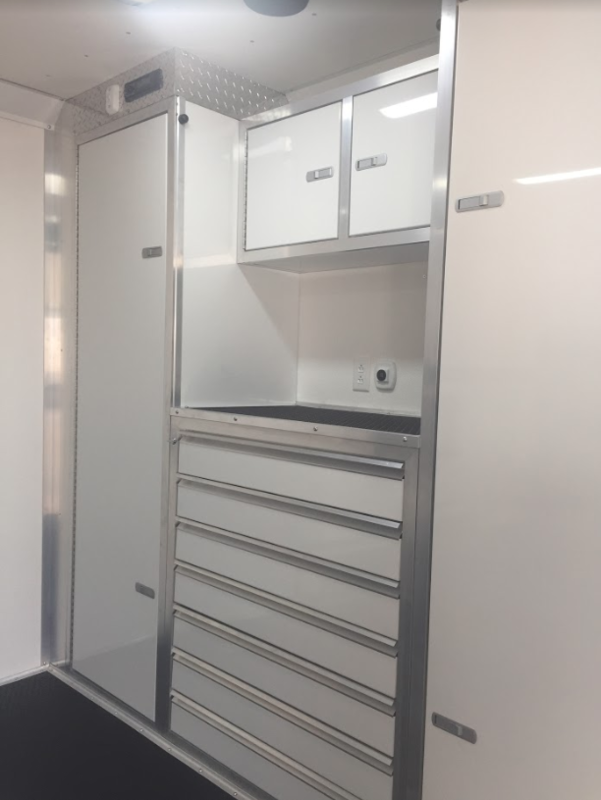 Extra Options Include but are not limited to: toolbox, cabinets, side doors, door beds, couch beds, bunk beds, extra LED lighting, v-nose front, Cummins Onan Generator, floor tracks for easy strapping, USB charging stations, outlets, extra inside lighting, and much more! 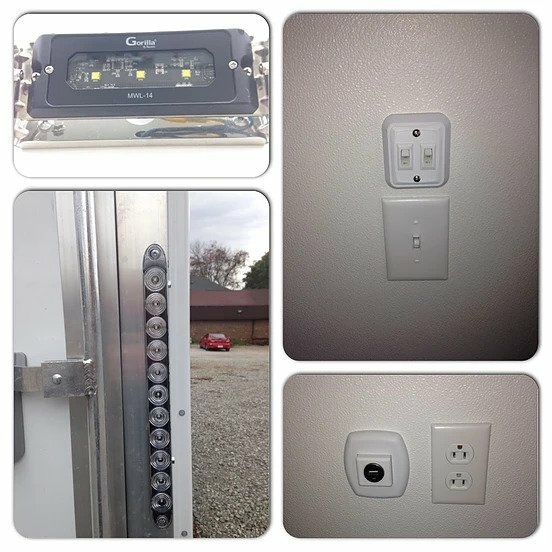 An addition to our trailers in the lights and wall plug ins and switches. 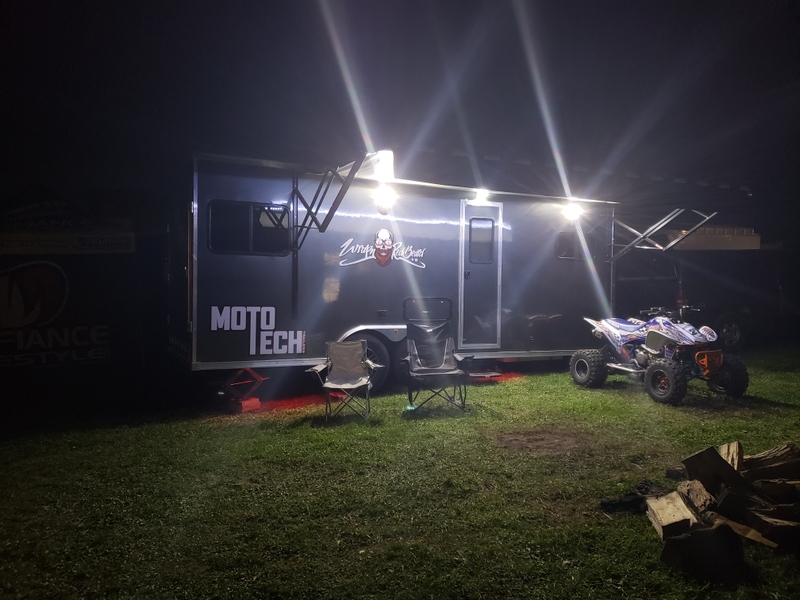 We use very bright LED lights on the exterior of the trailer to make it very visible at night. 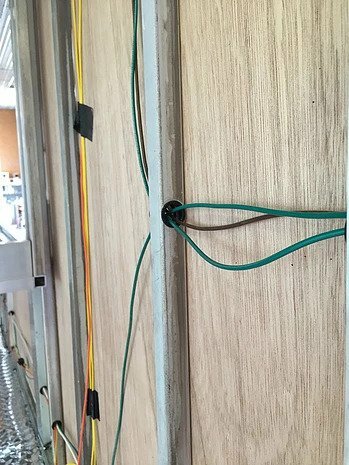 We also have standard plugs and switches to give the sleek and professional look. 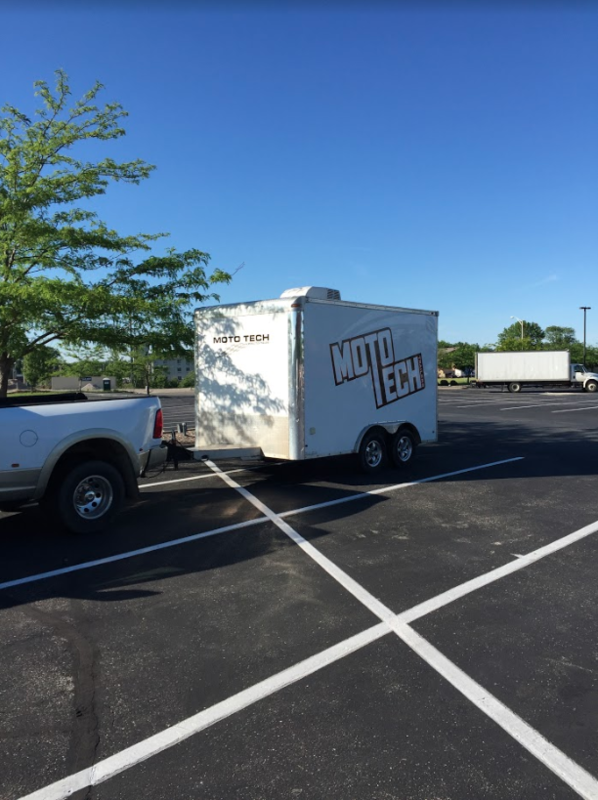 We go the extra mile to make sure that your trailer will last for many years to come. 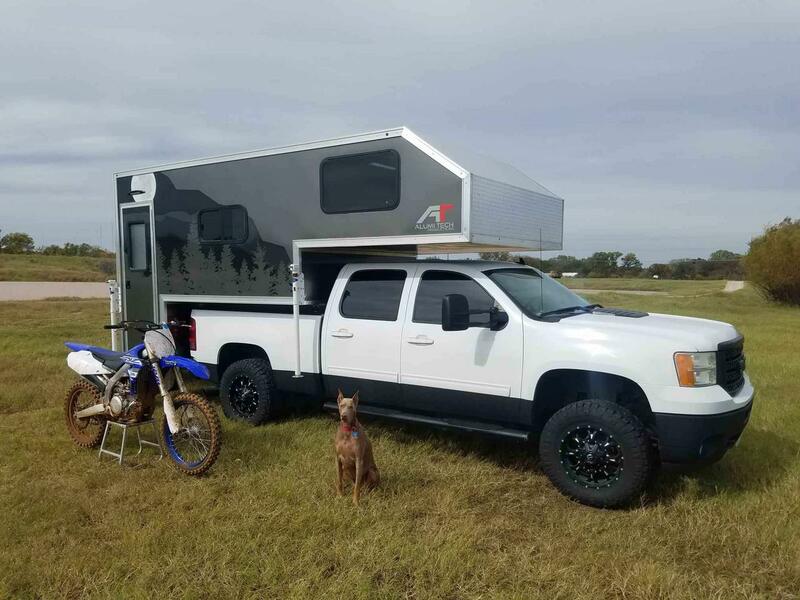 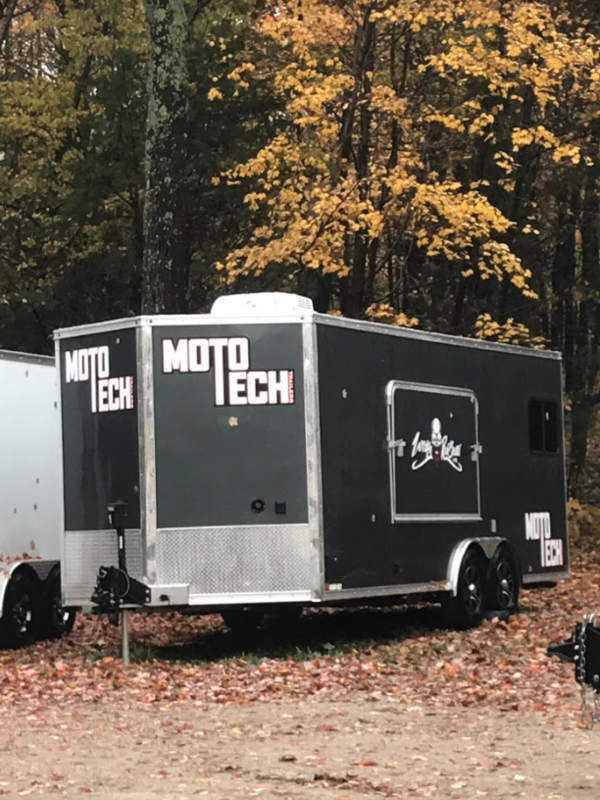 We want you to be proud of what you bought from Moto Tech Trailers and it will always be that way. 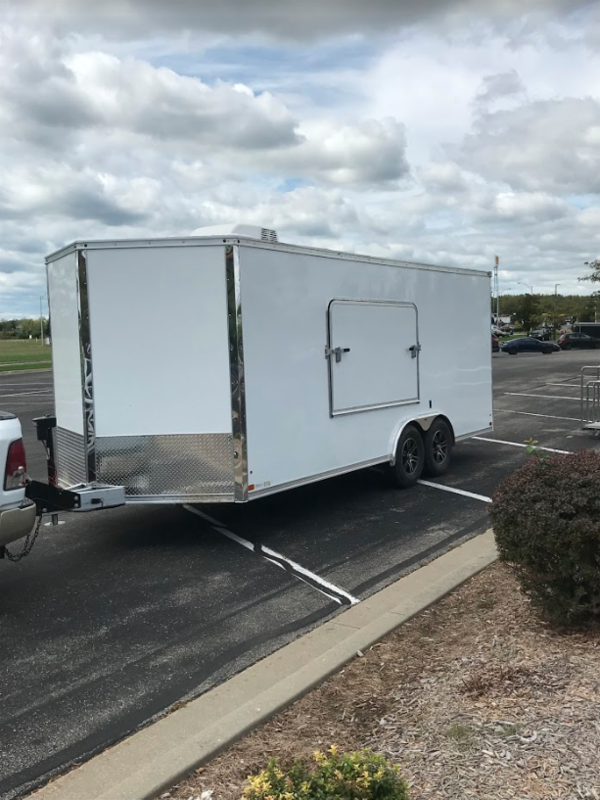 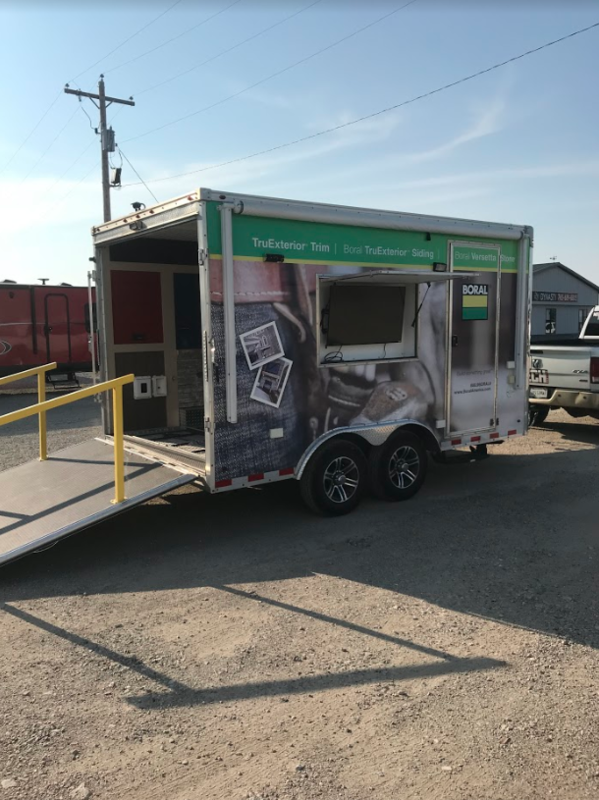 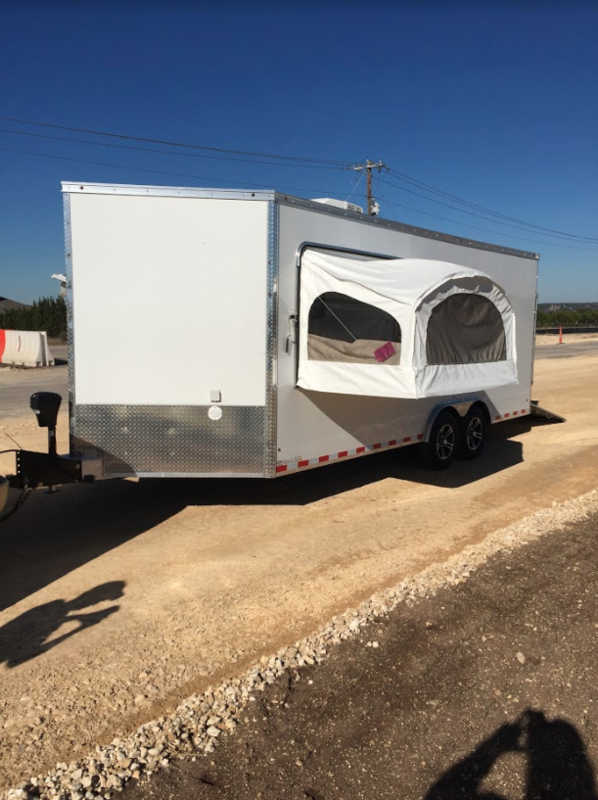 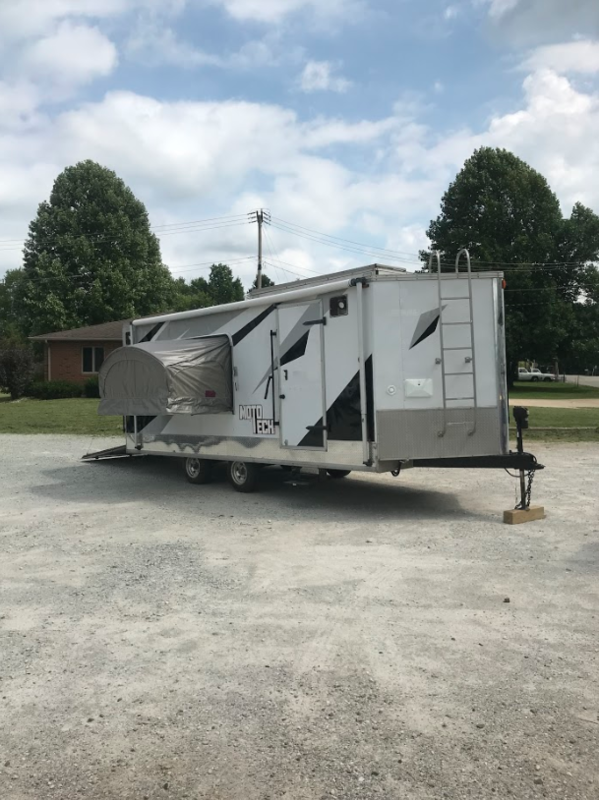 We offer trailers with seamless walls made out of fiberglass reinforced plywood instead of that thin aluminum siding that is so easy to dent and scratch. 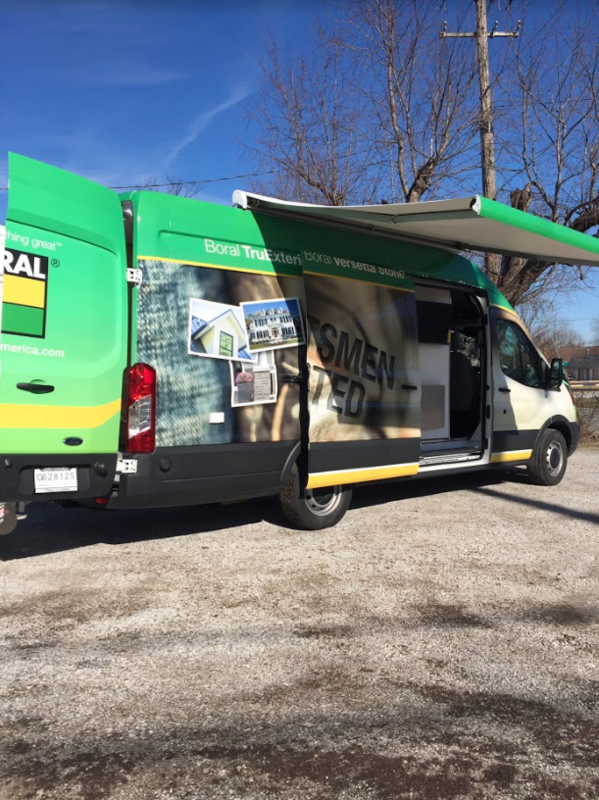 Our seamless walls make it a breeze to install graphics on giving that professional sleek look. 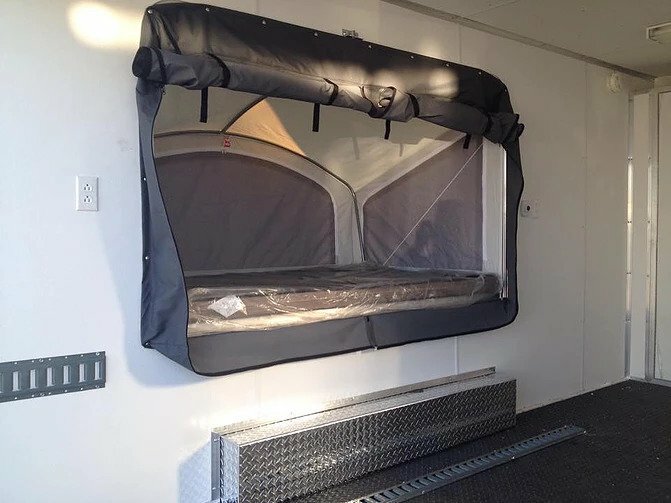 Our door bed option is very popular it allows you to enjoy more comforts of home and it increases your square footage making for a more relaxed and enjoyable getaway. 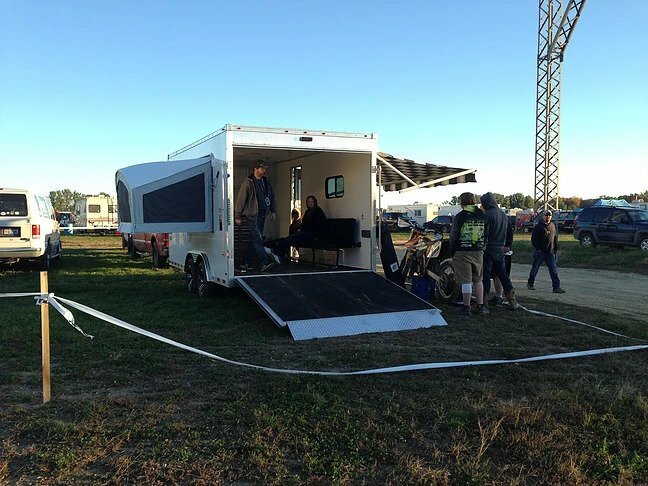 Our designers have come up with a light and compact toy hauler that can be pulled to the track by almost anything. 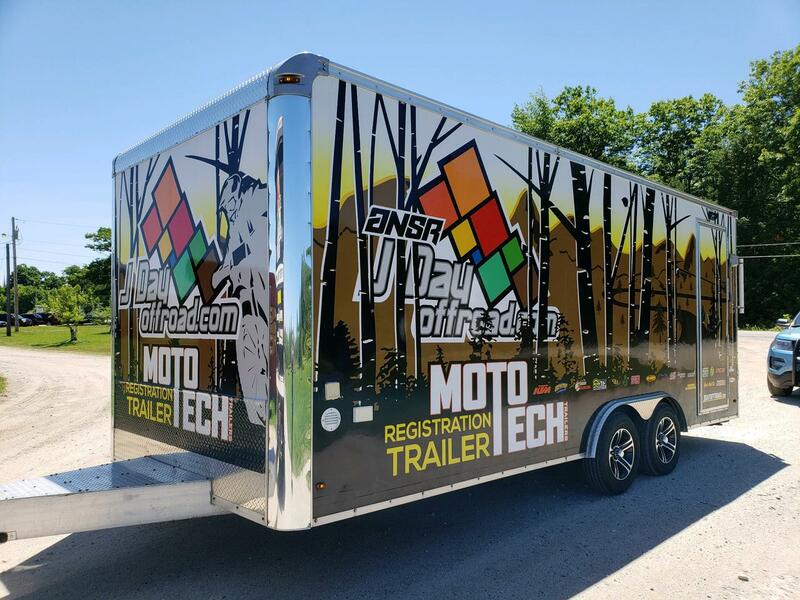 The aluminum frame makes our trailers one of the lightest toy haulers on the market. 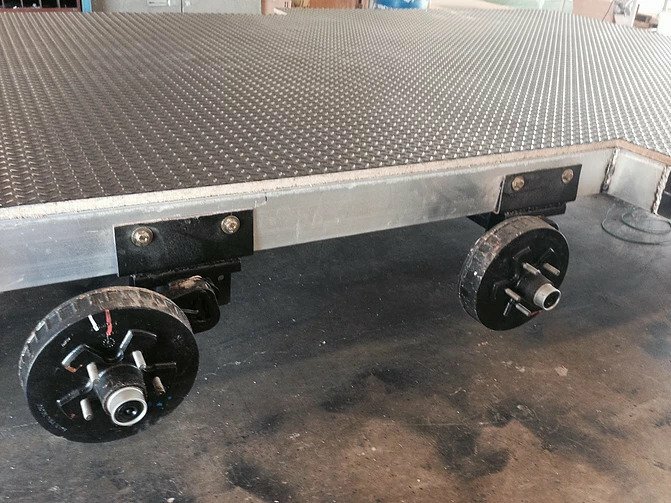 Tough, durable, made to out perform the competition. 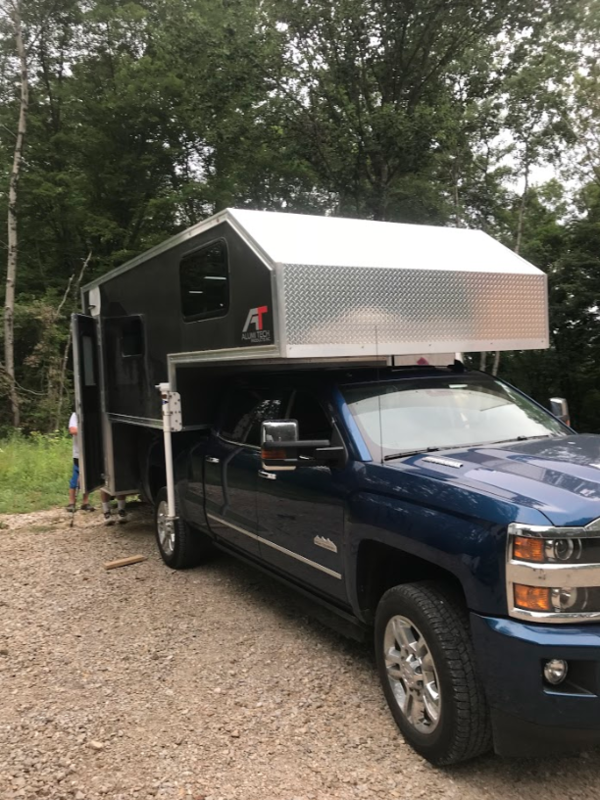 Don't just get a trailer, get the trailer. 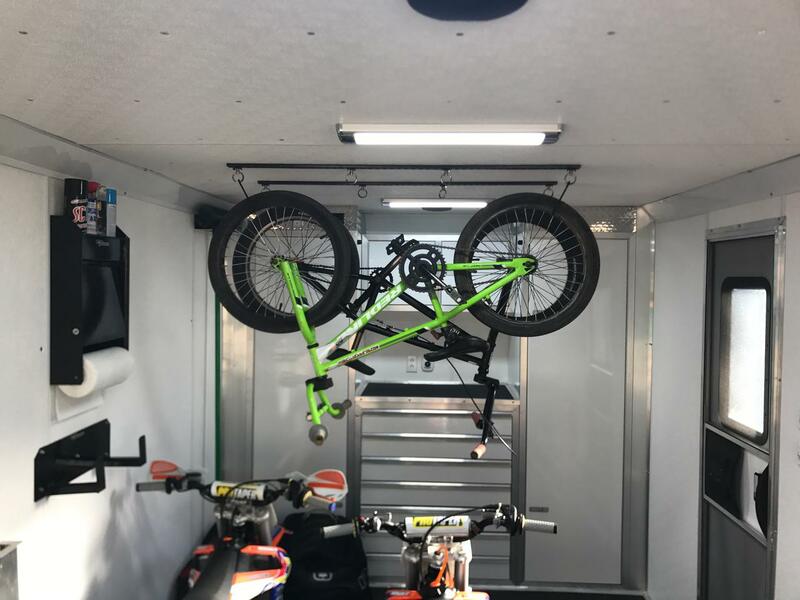 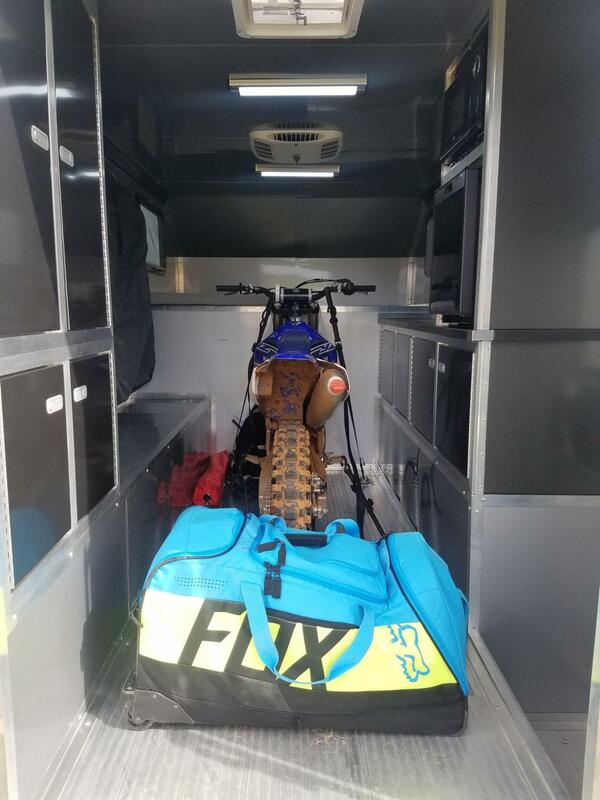 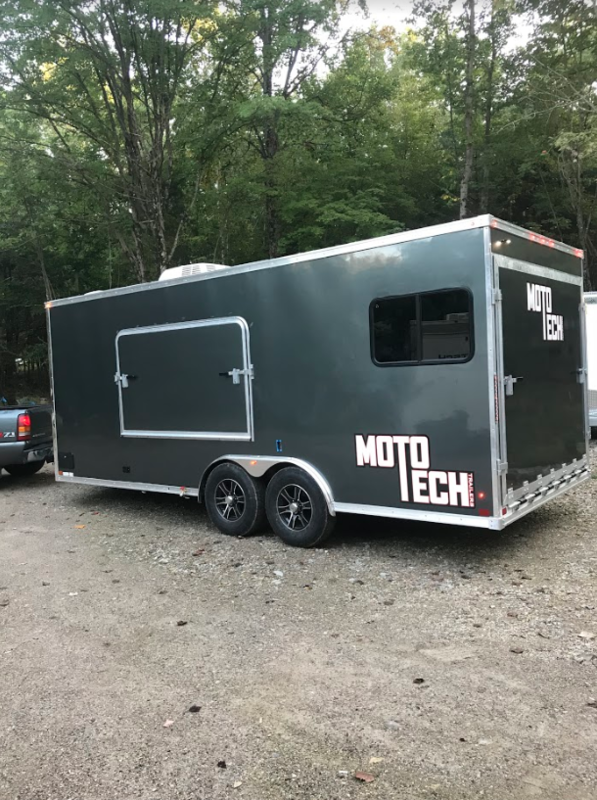 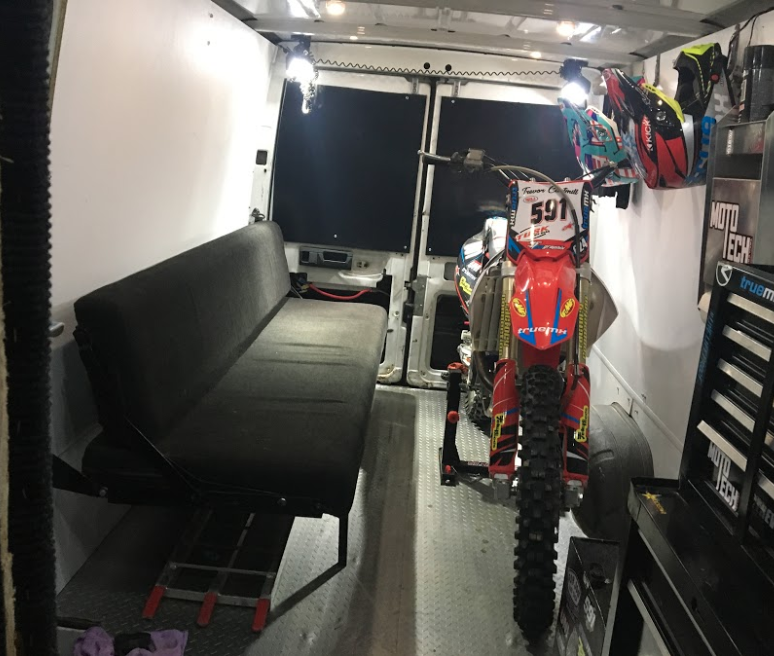 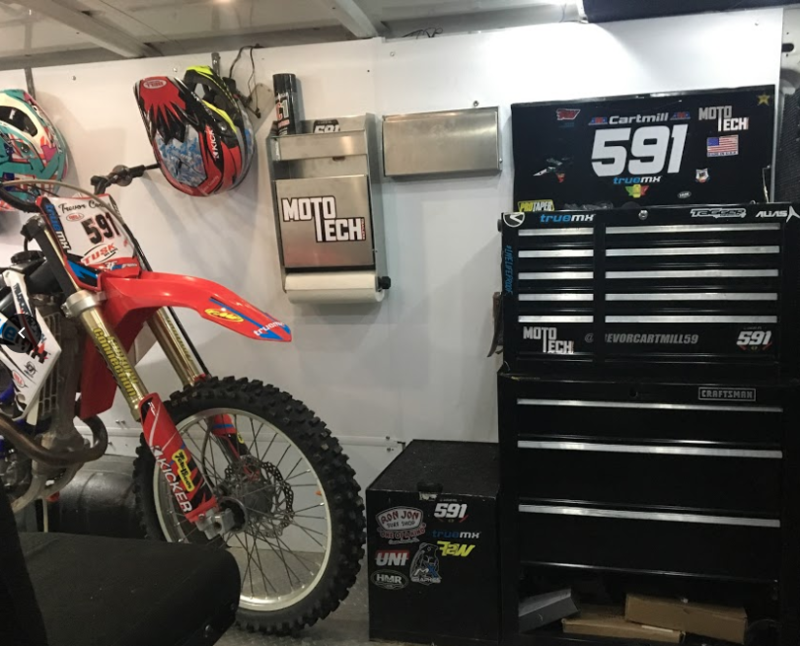 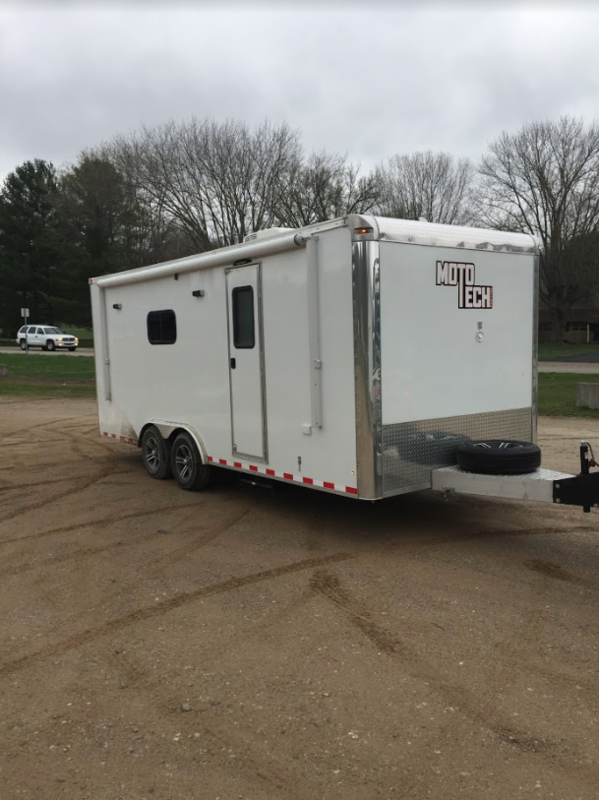 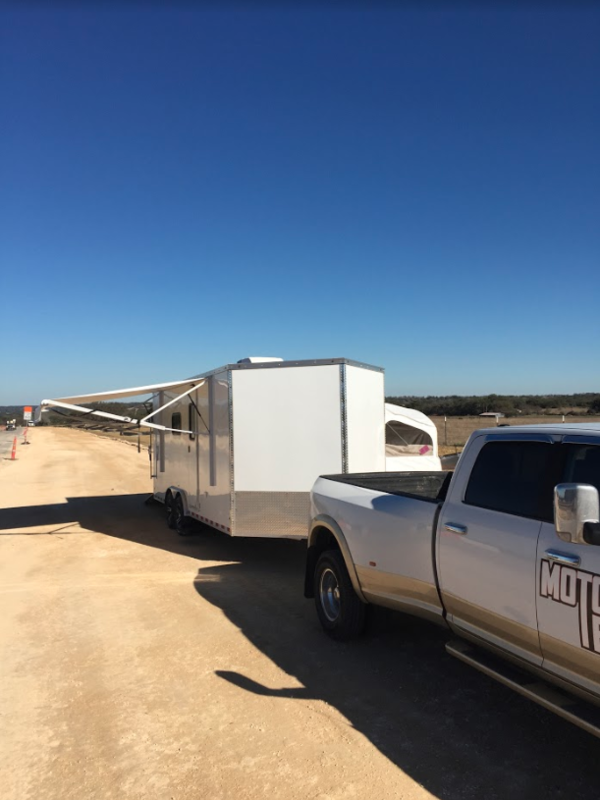 A Moto Tech Trailer. 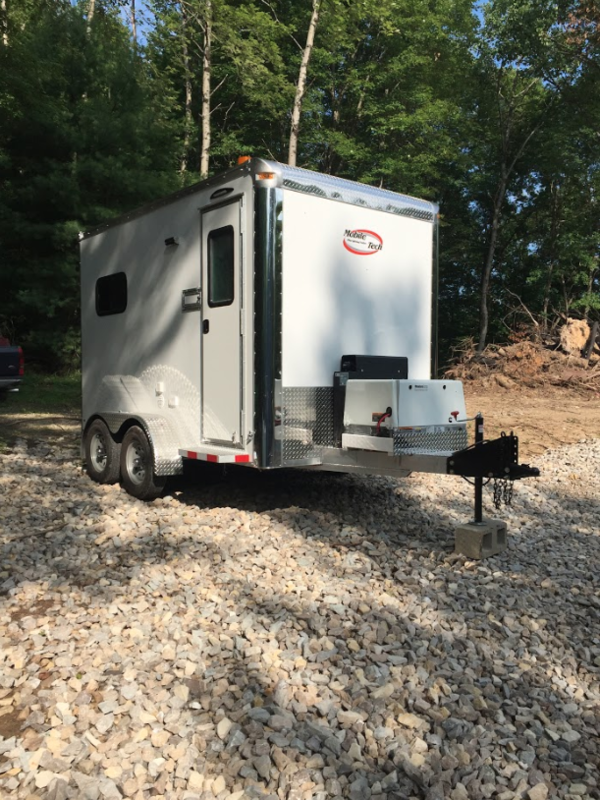 Our axles are Alko axles set at 32 degrees which allows for more ground clearance. 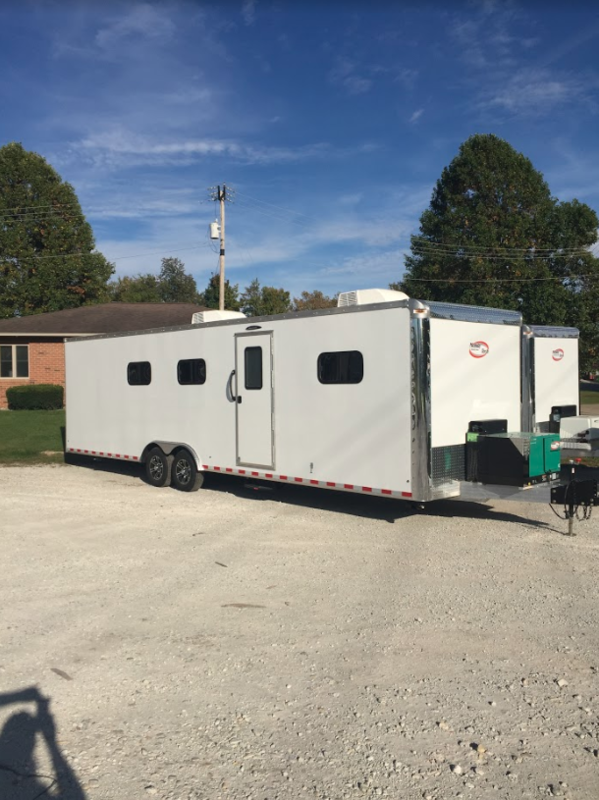 They are rated at 3,500 pounds apiece but upgrades can be made for special trailer weight requirements. 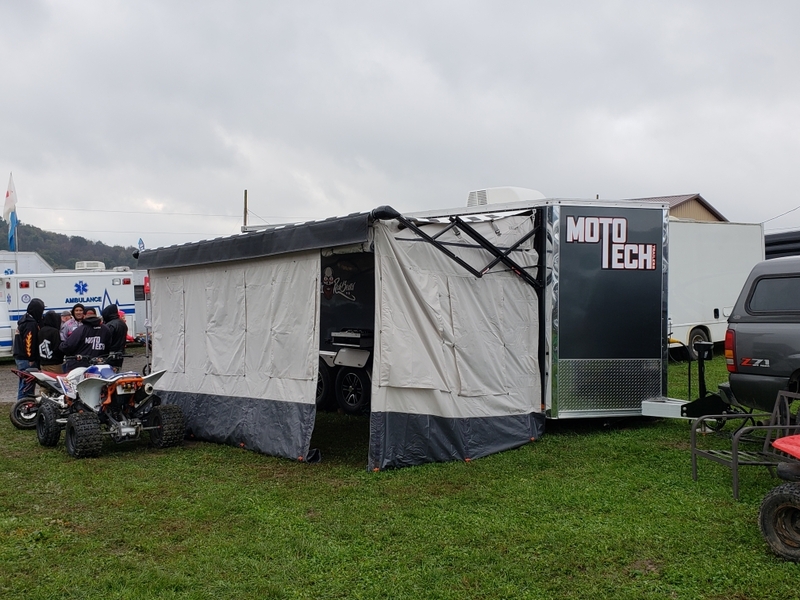 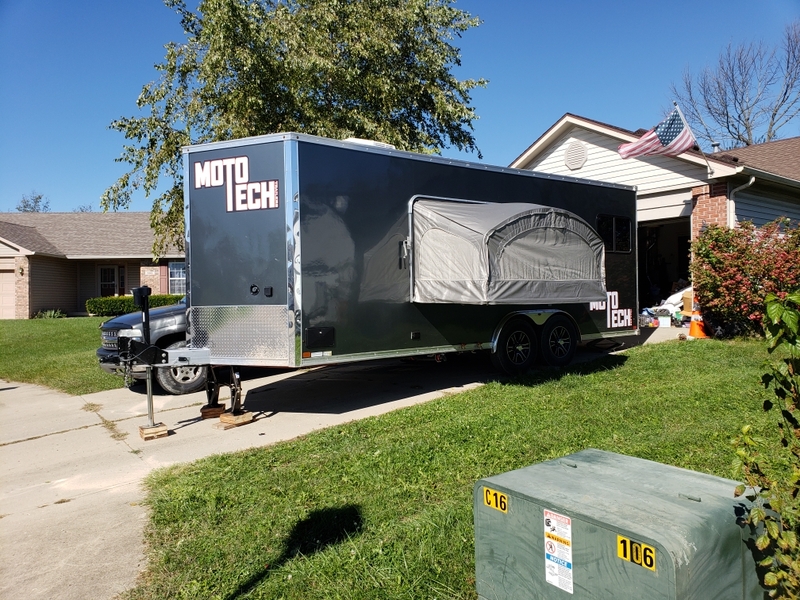 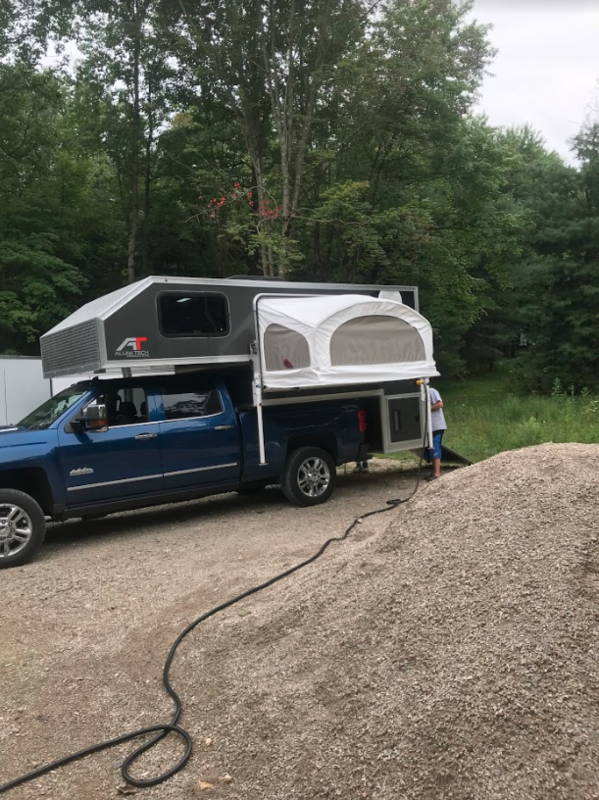 Moto Tech Trailers are a totally water proof toy hauler made completely by hand right here in the U.S.A. Our workers take pride in building you a custom toy hauler to haul you and your family around America. 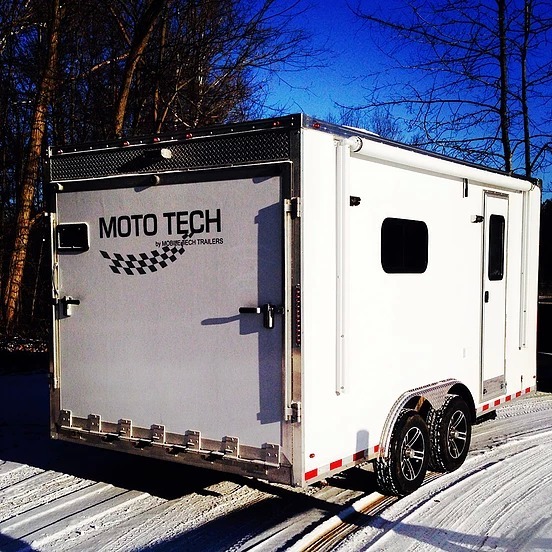 A Moto Tech Trailer features an all aluminum framed box that is lightweight but very durable. 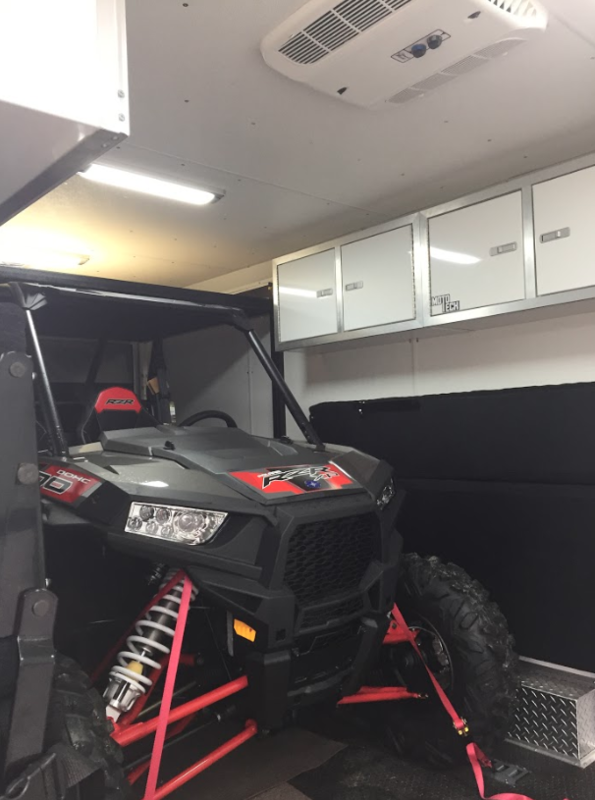 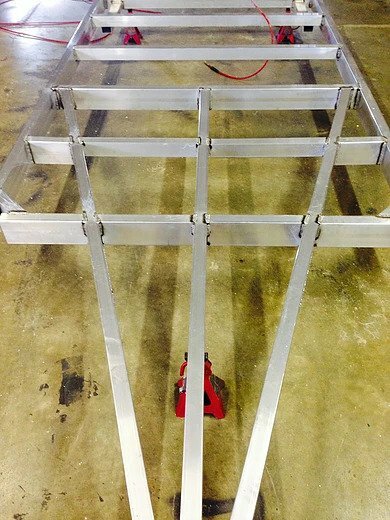 This all aluminum framed box allows your trailer to take the abuse of the Off-road life.